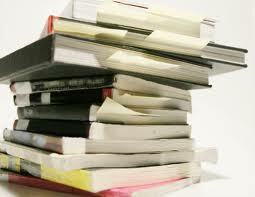 Auto repair manuals or service manuals are a great source of information for those who tried to diagnose or fix cars. It is wise to refer to the manuals before you start any types of jobs for cars. The contents of repair manuals, such as wiring diagrams, fluid specifications, mechanical specification, and repair procedures, have been helping mechanics or DIY-ers by giving precise information and saving lots of time. As time goes on, automotive technology has developing faster and faster. Every year, manufacturers invent new technology and implement on their cars. Modern cars tend to have more electric devices. These changes lead to demands of more volume of detailed service manuals. For modern cars, printed service manuals are unsuitable. Still, you can find them in a book store, Auto Zone, and other parts stores. However, to be honest, they are useless. It is impossible to contain all information about modern cars in such thin books. So, repair manuals have to change their forms to hold a large volume of modern cars’ information. The benefits of using online car repair manuals are not only they can contain complete information, but also you can access whatever you want to look up quickly. No matter how much information online car repair manuals have, you will see the information you need with a few clicks or by typing a word or phrase in a search box. Unlike printed car repair manuals, online car repair manuals never get dirty or old. They can be even updated via the internet. Every year, manufacturers publish technical service bulletins and recalls of their cars. All those information is added, too. One of the most demanded and necessary information is a wiring diagram. Since modern cars use lots of electrical circuits, wiring diagram has to be comprehensive and thorough. Online manuals can zoom in and out on the computer and print out only the section you need. In addition to the things mentioned above, online car repair manuals have step by step procedure of repair and diagnostic information, locations of components, many illustrations or pictures which can be zoomed. In online car repair manuals, any kinds of navigation are done by just simple clicks instead of flipping pages over and over. Subscription-based online manuals are popular these days. After buying your subscription, you will be able to access up-to-date information 24/7. Get your information you need, perform no more guess works but flawless and stress-free repairs! 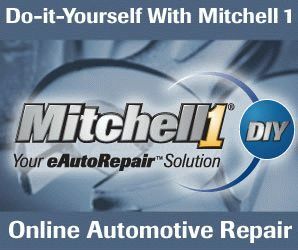 Let’s find out what’s the best online auto repair manual.